Nothing like ice cream in hot summer days, so we loved the idea of having a map with the best stops for ice cream over the summer. If you haven’t planned any holidays this year, there is still time to organise a trip down to Cornwall to make the most of the county and delicious Cornish ice cream! 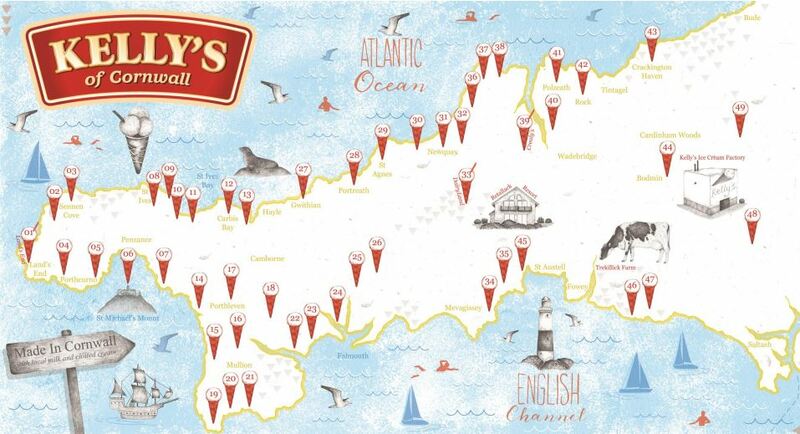 Kelly’s of Cornwall has created a beautifully illustrated ice cream excursion map with all the ice cream parlours, cafes and hatches across the county that sell Kelly’s famous clotted cream ice cream. The map features ice cream parlours and recommended picturesque locations including Cornish woodlands and beautiful beaches. Kelly’s has been producing Cornish ice cream for over 100 years in Bodmin, Cornwall. Unfortunately my local supermarket doesn’t stock Kelly’s clotted cream, but Kelly’s Vanilla Cornish Dairy ice cream is just as lovely! 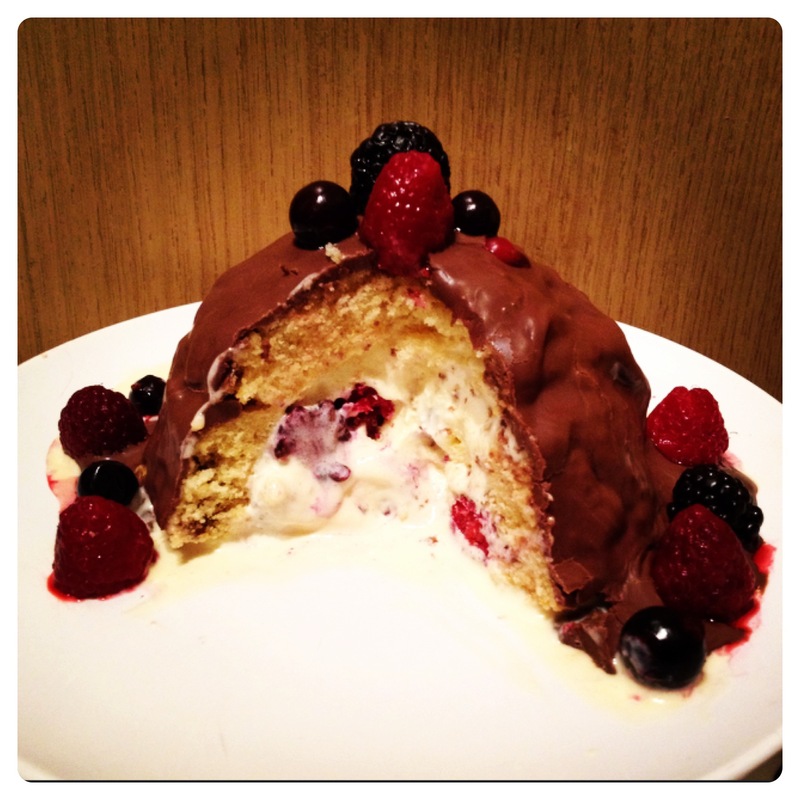 It is very tasty on its own, and in recipes such as Summer Fruits Chocolate Ice Cream Bombe that we made a few weeks ago. 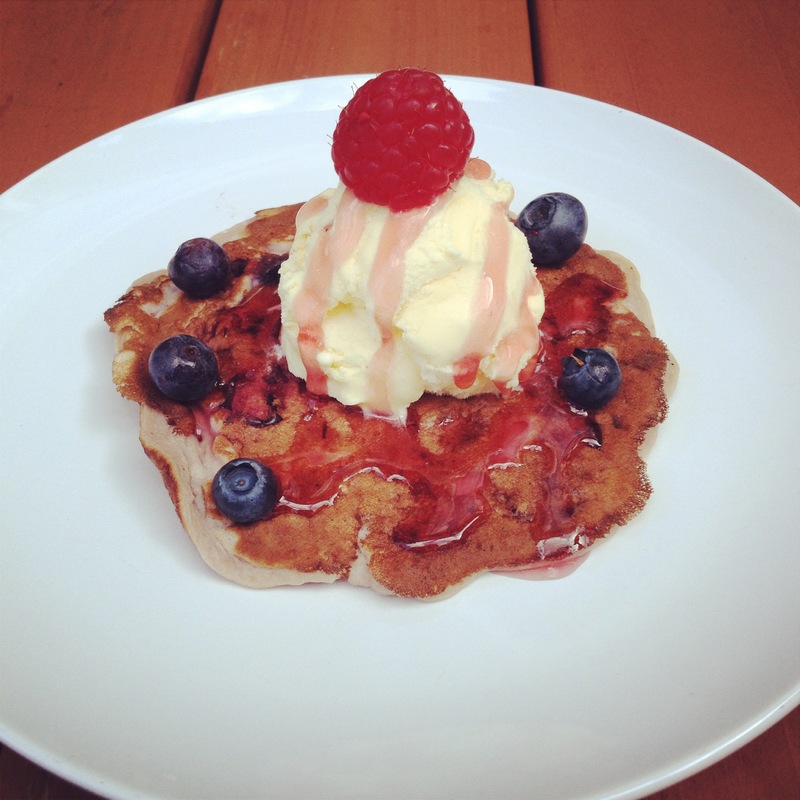 Or would you prefer Kelly’s ice cream on mixed berry pancakes? Whatever you prefer, I’m sure you will enjoy as Kelly’s uses only the finest dairy ingredients, including lashings of Cornish whole milk and Cornish Clotted cream, from dairy cows grazing on Cornwall’s lush green pastures. Kelly’s of Cornwall ice cream is the only genuine Cornish ice cream that is made in Cornwall and available nationwide. Make the most of Kelly’s Ice Cream Excursion Map, and explore Cornwall this summer. 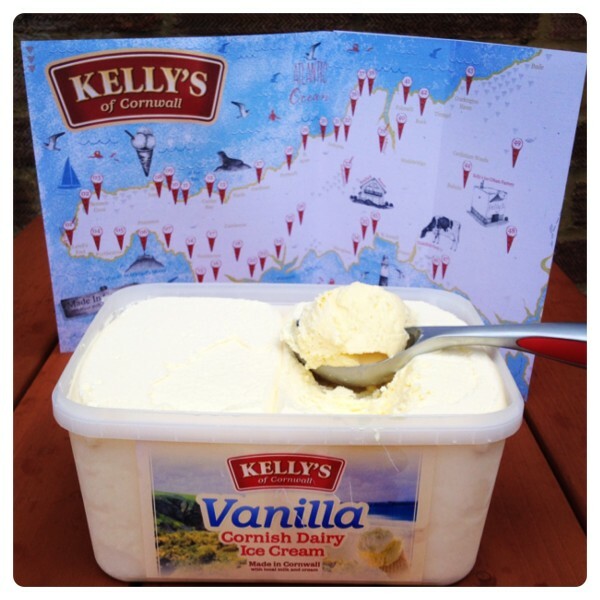 To view and download the map, click here: http://www.kellysofcornwall.co.uk/ice-cream-map. For your chance to win a month’s supply of Kelly’s of Cornwall Ice Cream, please enter via the Gleam app below. You MUST leave a comment with the answer, and subscribe by email (compulsory entries). You can also gain extra entries by tweeting (daily entry), subscribing to other social media channels, etc. T&C’s: The winner will be randomly picked by Gleam after the closing date on Monday 4th August 2014. Lilinha Angel’s World will contact the winner by email or Twitter within 7 days wherever possible and will allow 7 days for a reply. Open to over 18′s and UK only. If I do not hear anything within this time period I reserve the right to redraw a winner. Lilinha Angel’s World decision is final. 256 Responses to "Kelly’s Ice Cream Excursion Map and #Win 3 x 1 Month’ Supply of Kelly’s Ice Cream"
I like ice cream in an ice cream sundae with cream and fruit and nuts! I love ice cream on its own or when it is the main ingredient topped with chocolate sauce, muffins etc. Strawberries and ice cream – vanilla, or with apple pie/crumble. Or mint choc chip in a cone. Or pistachio by the tub! I like ice cream with raspberries and strawberries. I like making ice cream bread – equal parts of self raising flour and Kelly’s Cornish ice cream, blended together and baked, easy and tasty! Kelly’s Vanilla Ice Cream in a brandy snap basket with raspberries and maple syrup. I love ice cream with more ice cream! Ice cream with sticky toffee pudding! I like pancakes with vanilla ice cream,Fresh Strawberries and a drizzle of chocolate sauce,Yummy. I like to have my ice cream with a warm chocolate brownie. I absolutely love toffee fudge ice-cream, with a chocolate flake, chocolate sauce and sprinkles! My ultimate icecream dish would be either a chocolate fondant or chocolate and raspberry brownie with a creamy cornish vanilla icecream, lush! I just eat ice cream by its self or in a ice cream sundae with lots of chocolate sauce. LOVE ice cream with warm choc fudge cake. I love my vanilla ice cream with hot instant coffee. Yes, I stir them together. I do like ice cream with pancakes. What I really like is ice cream with fruit, both delicious and great varieties. On it’s own with some chocolate sauce! My all-time favourite is banana split. Icecream with apple crumble, yum! I also like ice cream on pancakes, with chocolate sauce. Roll on Shrove Tuesday! I agree – pancakes and ice cream! really could do with some in this lovely hot weather. In a cone with strawberry sauce and chocolate sprinkles! I love ice cream with pancakes, nutella and bananas! I love ice cream with pretty much everything!! waffles with ice cream & choc sauce. My favourite is ice cream with apple pie. Mine’s most definitely ice cream and pancakes too. My Nanna used to make them for us all the time when we were little and they’re still my favourite! I like it with fruit crumble. ice cream with grated caramac yummy! Apfel Strudel and ice cream is delicious. ice cream with chocolate ice magic (or whatever it’s called these days! I love strawberry and vanilla! with 100s and 1000s sprinkles! Madagascan Vanilla ice cream on top of a warm chocolate brownie, mmmmmm! Vanilla ice cream with baked apple. Ice Cream with fresh strawberries can’t be beaten! Warm Chocolate Fudge cake with Vanilla Ice Cream… what could be more dream-worthy?! I love ice cream with hot puddings – apple pie, rhubarb crumble etc! – I just love the temperature change! I love ice cream with pancakes, accompanied by dark cherries or cherry pie filling – whichever is available, but cherry pie filling is decadently gorgeous! – and sliced bananas. They meld together really well imho! As an affogato or ice cream sundae with lots of sauce, fruit, crunchy bits, cream and, of course, a wafer! It`s a Jamie Oliver `recipe` – vanilla ice-cream with bashed up maltesers. I love ice-cream on top of hot crumble or hot chocolate pudding. Ice cream with fresh fruit – love it ! I LOVE ice cream and warm desserts like brownies! Vanilla ice cream and strawberry sauce! I love vanilla ice cream with strawberry sauce,sprinkes and a dirty great big flake(or two)stuck in the top. I love to make a coke float! Jelly and ice cream for me! a bit old school I know! Ice cream with hot chocolate fudge cake. A banana split always goes down well. Just on its own is how I like it. I love ice cream with my home grown strawberries! Mint choc chip is my fav! Yes I love ice cream and pancakes too, it’s the best!! I too love ice cream with pancakes…so yummy. I also love it with pancakes! or warm chocolate fudge cake mmmmmm! With anything and everything and on its own! Ice cream (low fat) and fruit. I’ve grown up with kelly’s ice cream, and its simply the best. Hot apple pie with ice cream. Chocolate Fudge Brownie warmed up with ice cream is my fave! Ice-cream with Belgium waffles and chocolate sauce…mmmm! I like Ice Cream with lots of Hundreds and Thousands! I love my ice cream made into an Eton Mess, yummy! I love ice cream with a hot home made pudding! I love ice cream with sticky toffee pudding and a butterscotch sauce, yum! I like ice cream with afters such as fudge cake, banoffee pie or waffles. I also enjoy ice cream with fruit such as bananas, peaches, stawberries or mixed fruit. On hot apple pie, or pancakes with added golden syrup! Ice cream with cherry pie, mmm! My favourite combination is ice cream with nuts and syrup. I love bananas cinnamon and honey on mine. I love Maple syrup, vanilla ice cream and pancakes yummy!